Quick! Act now! 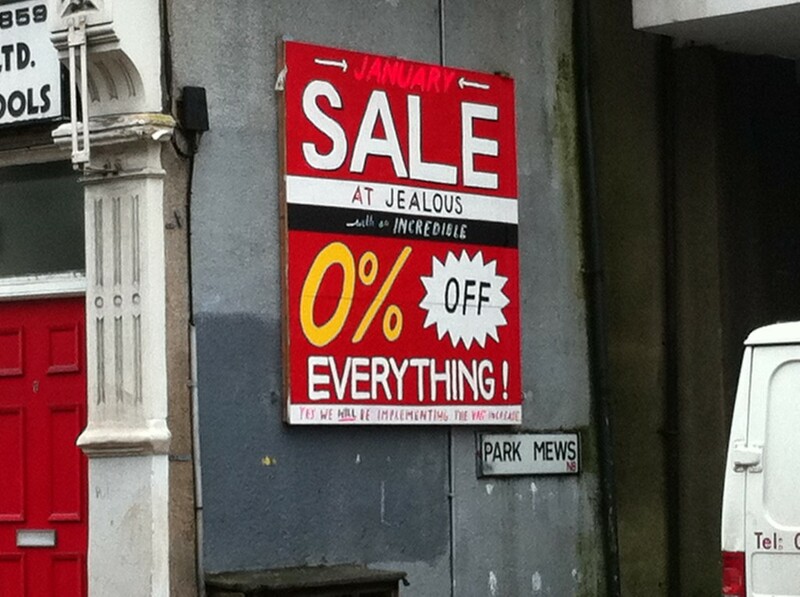 Sale not to be missed in Crouch End, London! Everything THE SAME PRICE! Thats right – EXACTLY THE SAME PRICE as it was last week! Get there fast to pay the extra VAT!